What Employee Misconduct and Fraud Trends Will Arise in 2019? The past year has seen some high-profile fraud cases, including the theft from the multibillion-dollar Malaysian public fund 1MDB by the country’s former prime minister. While that’s certainly a large number, a larger one can be found on Oversight.gov – federal government agencies reported more than $32 billion in savings identified by Inspectors General offices. It’s a great reminder that, while high-profile cases may get all of the attention, they aren’t necessarily representative of the biggest threat to government agencies. Fraud perpetrated by a small fraction of front-line and mid-level agency employees can turn into billions of dollars due simply to the sheer combined size of the local, state and federal workforces. Misconduct and abuse at government agencies can also devastate employee morale, especially if word travels that it was tolerated at a managerial level before being rooted out. Here are three types of bad behavior that you can expect to see more of in 2019 – including one that agency employees might not even know they’re perpetrating. The misconduct story of 2018 was the overdue focus on sexual harassment. The collective focus on the topic was sudden, and companies were forced to scramble to see if the destructive activity had been swept under the rug by mid-level (or senior-level) managers at thousands of companies across the country. Not even Google could avoid a New York Times piece on its complicity in a cover-up. Government was far from immune from the controversy. The US House lost several members to sexual scandals including Blake Farenthold, Joe Barton and House Ethics Committee member Pat Meehan. FEMA HR head Corey Coleman was accused of more than a half decade of shocking behavior and resigned. And the EEOC reports that fourteen percent of federal workers experienced some form of sexual harassment in 2018. The problem, and society’s focus on it, will continue into 2019. Any agency that doesn’t vigorously pursue misconduct will likely be outed and the scandalous behavior will be made public. Furthermore, federal agencies now face hearings in front of a divided Congress, and these incidents are more likely to become an opportunity to attack agency leadership. This dramatically raises the stakes of having one bad apple in an agency. Thanks to technology, it’s more possible than ever to remain anonymous – but only if you know exactly what you’re doing. Unfortunately, it’s also easier than ever to uncover who reported your bad behavior if you put enough time and effort into it. Retaliation has become a major problem, with 44% of employees who reported misconduct reporting they faced retaliation for doing so. This is twice as high as the rate from 2013, a striking increase. If this continues, the retaliation itself may become more of a problem for agencies than the initial wrongdoing. A recent 7th Circuit Appeals Court case found that an employee fired for previous misconduct after reporting another employee’s misconduct can sue for retaliation. 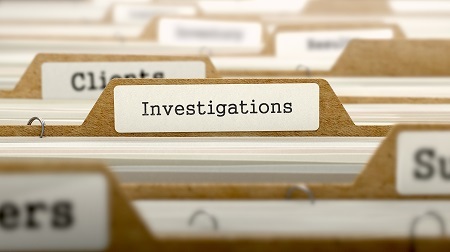 This makes it more important than ever that misconduct is taken care of quickly – if the target of a misconduct investigation files a misconduct claim over an unrelated event before the investigation concludes, disciplining that employee could open the agency up to a lawsuit. Another trend that’s becoming increasingly common is that people and organizations are unwittingly becoming money mules – transferring money through multiple bank accounts to prevent that money from being detected as illegally gained. Government agencies face threats from both sides – their money may be stolen and laundered through money mules, or their employees may unwittingly become the mule themselves. Employees should be educated to the risks of people asking for help in getting money to a friend or business associate’s bank account. In some cases, these requests are even presented as job opportunities. Employees that unwittingly become money mules can face prosecution, frozen bank accounts, and time-consuming investigations. Suspicion that an agency’s employees are money mules could impact their ability to complete their work duties even if the illegal activity was taking place off the clock. To learn how CMTS can help your investigative agency resolve cases more efficiently, call us at 855-636-5361 or email us at Team_CMTS@MyCMTS.com.